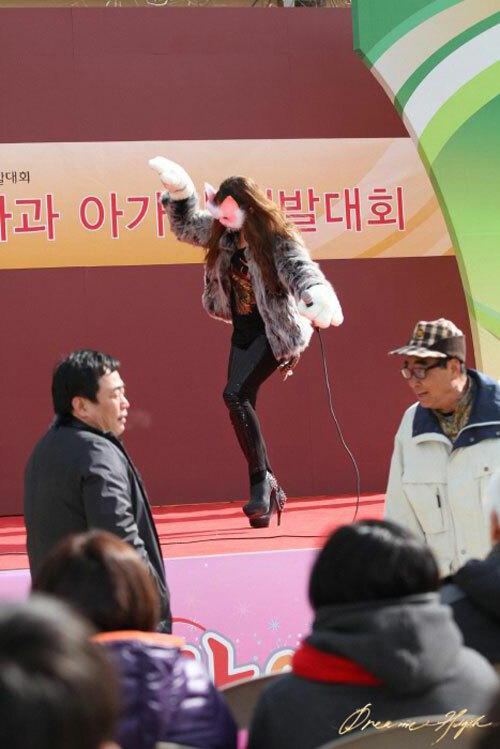 T-ara’s Jiyeon is suffering the humiliation that is destroying her self-esteem. On episode 7 of Dream High 2 broadcast on the night of February 20th, 2012, Rian (Park Jiyeon) who represents the sexism goddess suffers the humiliation of having perform on a local stage as miss apple. For the sake of her nosy mother who wants to rescue her suffering daughter from OZ Entertainment, Rian can only look at the hint from the company’s president. As such, Rian is humiliated having to go to local miss apple pageant contest to sing. Especially Rian still has to wear the face mask of Catwoman to stand in front of many viewers. The audience in front of Rian mostly is noisy and scuffling audience instead of people who concentrating on music. In front of them, Rian is wearing a pink mask and sing, self-esteem drops to the bottom. The humiliation of arrogant Rian is bring another kind of joy to audience.